A little less obscure this time around. While no one knows the bodyguard‘s real name (at least in the first two films), everyone knows this girl’s name. Although does her last name come to mind as easily as her first? 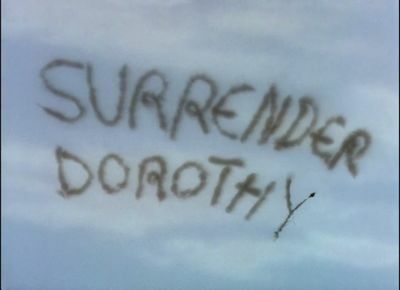 Probably not, given that the Wicked Witch of the West only writes Surrender Dorothy in the sky, not Surrender Dorothy Gale. I’ve seen The Wizard of Oz more times than I’ve seen any other movie. It was broadcast on tv (usually on Easter, for some reason) from as early as I can remember until at least sometime after I reached high school (I think). It was a national event. I remember watching in a motel room in Idaho one year when my parents and I had gone back for my grandmother’s funeral. So, I guess I’m one of those people who helped the Library of Congress determine that this film is the most-watched movie in history. Such a conformist, I am. Dorothy Gale (played by Judy Garland) is a Kansas farm girl (an orphan) who lives with her aunt (Clara Blandick) and uncle (Charley Grapewin), three farm hands (Ray Bolger, Bert Lahr, and Jack Haley), and her Cairn terrier (played by Terry). Dorothy’s a teenaged dreamer, singing to herself about what lies over the rainbow, and doesn’t really fit in at home. 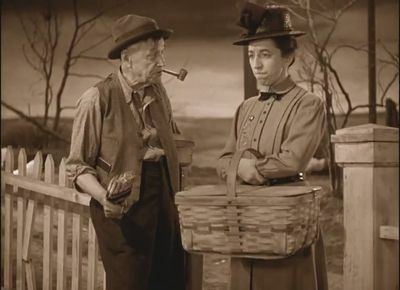 She’s often in the way of everyone on the farm, getting into trouble by falling in the pig sty and not doing her chores, and the town librarian Almira Gulch (played by Margaret Hamilton) really hates her little dog, Toto. When Toto gives Ms. Gulch a well-deserved nip, (although, really, Toto. Chasing cats? Not cool. ) she calls for his destruction and arrives to carry him away on her bicycle. Dorothy decides it’s time to hit the road and save her friend, so she runs away from home. That’s when the tornado shows up. Thanks to the intervention of a traveling fortune teller (Frank Morgan), Dorothy runs back home but everyone else is already in the cellar. So, she cowers in her room as the wind begins to switch. Next thing she knows, she’s in the place of her dreams, somewhere over the rainbow. And she’s guilty of witchslaughter. What a day. While the little people she first meets declare her their national hero, and a chirpy woman dressed all in pink and going by the enigmatic name of Glinda, the Good Witch of the North (Billie Burke), gives her the ruby shoes that the dead witch was wearing, Dorothy has incurred the wrath of a serious enemy. As I’m sure you remember, the dead witch is a living witch’s sister. And the living witch (Margaret Hamilton again) wants those damned shoes! What’s a girl to do? Well, in this case, the best bet appears to be a trip to see the titular character. Everyone’s convinced that the Wizard of Oz can help Dorothy get home, so off Dorothy goes with no one but the loyal Toto at her side, at least to begin with. Along the way, she meets new friends who join her on her adventure: the Scarecrow, the Tin Woodsman, and the Cowardly Lion who all bear odd resemblances to the farm hands working on Dorothy’s aunt and uncle’s place. They’re scared to death of the wicked witch, but Dorothy wins them over with her desire to see the wizard. Maybe he can help them, too. Once they reach the home of the great and powerful wizard (Frank Morgan again), he tells them that he can help them, but first a quest! Bring back the broomstick of the wicked witch, he tells Dorothy and her friends. Then he’ll consider granting their wishes. But troopers that they are, the four agree to the wizard’s terms and head out in search of the witch’s broomstick. But the witch has other plans and sends her flying monkeys out to capture Dorothy and Toto. They succeed, leaving her friends to reassemble themselves and try to figure out how to rescue her. 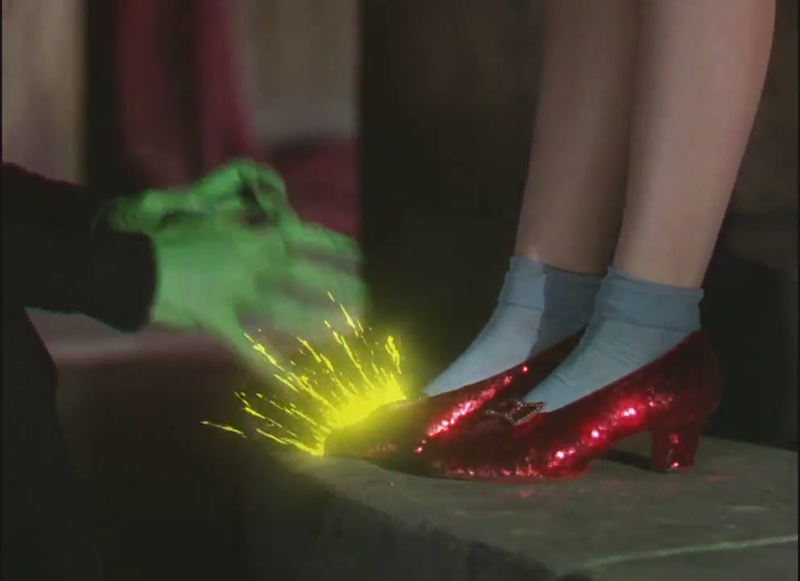 The witch scares the bejesus out of Dorothy, and she tries to cooperate when the witch demands those pretty red shoes. Unfortunately for our young friend from Kansas, the ruby slippers aren’t leaving her feet. Not until she dies first. The Wicked Witch of the West doesn’t have a problem with this but the bane of her doppelgänger in Kansas foils her plans. Toto escapes, finds his friends, and brings them back to rescue Dorothy. 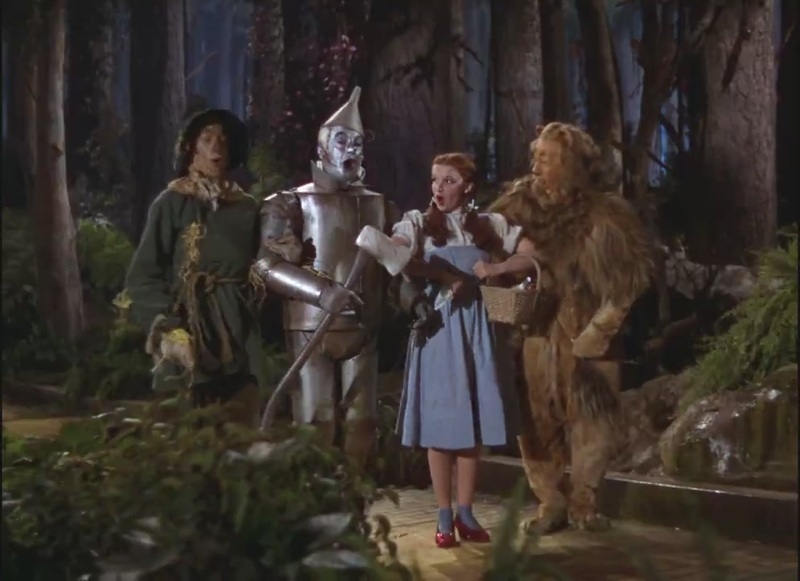 The four make it back into the castle—the two-legged folk disguised as the witch’s guards—and free Dorothy. But the witch isn’t out of things yet. She corners them on a castle parapet and sets the Scarecrow on fire. 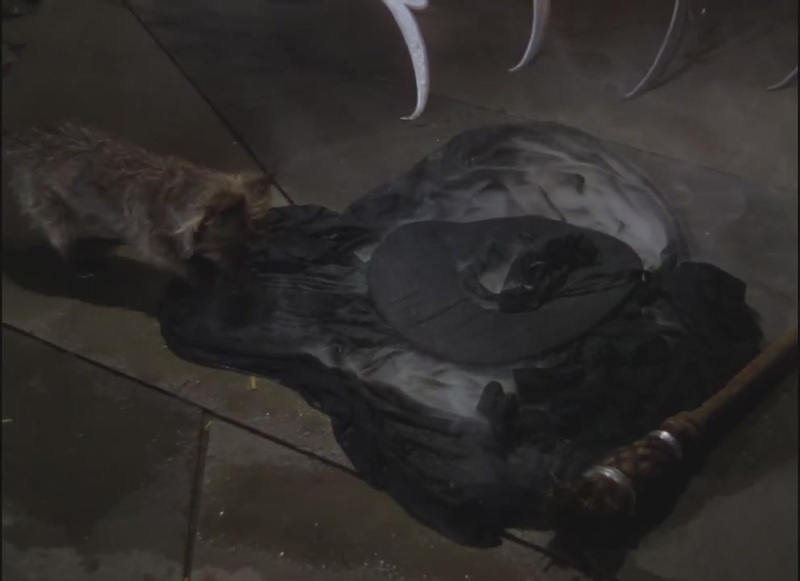 In her attempt to save him, Dorothy throws water that hits the witch, causing her to melt. What a world. The group returns triumphant to the Emerald City where they discover that the wizard is a fraud, and that they all possessed what they were seeking to begin with. Even Dorothy. Glinda reappears to inform her that to return home all she has to do is click her heels together three times. A little late, huh? Well, if she’d told Dorothy that at the beginning, we wouldn’t have a movie, so never mind. The magic works and Dorothy wakes up in her bed at home surrounded by her family and friends. It was all a dream. Or was it? Doubly so, I’d say. When we first meet her, she’s a dreamy teenaged girl in sepia-toned Depression-era Kansas. Nothing fits right or looks right. The people she lives with, no matter how much they care for her, don’t really understand her and find her in the way more often than not. And then, in a flash, she’s taken out the world she knows and dropped into a place filled with amazing characters, magic, and Technicolor. The only creature that she knows here is Toto. 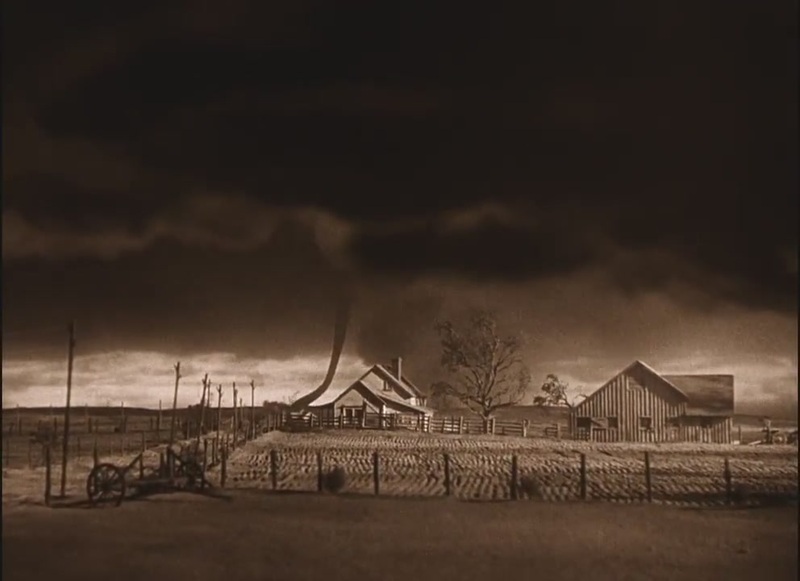 Dorothy’s famous line, “We’re not in Kansas, anymore, Toto,” has become a cliché for finding oneself out of one’s depth and in strange territory. So, this gal’s a hero? Unintentionally, yes. She liberates Munchinland by crushing the Wicked Witch of the East, and is declared a hero by the grateful Munchkins. She frees another section of Over the Rainbow by melting the Wicked Witch of the West, much to the relief of the poor Winkies who the witch has forced to be her guards. Heroes in general dispose of evil, which Dorothy did. However, both of her killings were done by accident. She had no power to aim her house as it fell; she was holding on for her life. And when she killed Wicked Witch of the West, it was in an attempt to save the Scarecrow from burning to a cinder. Accidental or not, however, Dorothy Gale rose to the occasion, going on a hero’s journey to solve her quest, standing up for her friends, trying to be kind, and in the end, emerging victorious. Hero, she is. I’m not a big fan of using diminutives to denote the femaleness of someone, so I avoid it. I find it belittling. Your mileage may vary. Does Dorothy change anyone’s way of thinking? Perhaps not directly, but in the large arc of things, I’d have to say yes. She isn’t the one to show her friends that the things they thought were missing in themselves (heart, brain, courage) were there all the time. That’s the wizard’s job. But the woodsman, scarecrow, and lion all fall in love with her and risk their lives to rescue her, a complete stranger who fell out of the sky. I think she’s an instrument of change, merely by coming into their world as unexpectedly as she does. The change in thinking she brings is similar to what Prot brings with him in K-PAX: the idea that there is life comparable to what the inhabitants of Munchkinland have in a hitherto unknown planet or dimension. 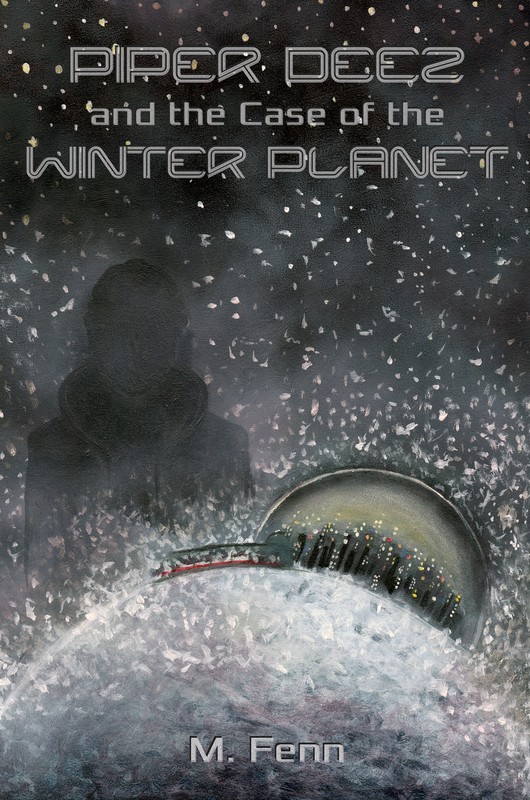 I would think that would change a lot of mindsets here on Earth if it was ever proven conclusively that there was extraterrestrial life that we could communicate with. It had to happen Over the Rainbow. She’s a girl who goes off to another world/dimension and has adventures. In 1939! She’s strong, brave, and loyal to her friends. She’s also kind and curious about both worlds she finds herself in. All that, and she sings beautifully.